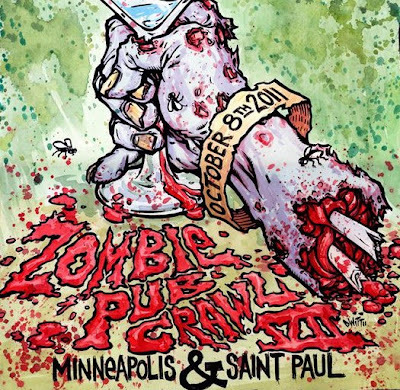 Save the date: Zombie Pub Crawl returns on October 8, 2011. The event does not have a name yet, so the organizers are asking all of you zombie lovers out there to participate in the ZPC VII Naming Contest. Follow @zombiepubcrawl on Twitter , suggest a name and retweet with the hashtag #ZPC7. Now go and buy some fake blood.